Ep #7: WHich team exhausts their chances to win the Amazing Race? 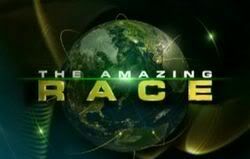 Topic: Ep #7: WHich team exhausts their chances to win the Amazing Race? Re: Ep #7: WHich team exhausts their chances to win the Amazing Race? Whichever way you spell it, they really are. Really? I thought it was the Dial-a-Psychic I use!